If you’re looking for the largest and most popular film franchise of them all then you needn’t look much further than the Star Wars films. Following the incredible success and longevity of the original trilogy, a prequel of trilogies was also added to the line-up with the final instalment released 7 years ago. There hadn’t been all that much movement since then either, but George Lucas has finally announced that the Star Wars films will be remastered in 3D and re-released at cinemas across the world. Lucas had previously expressed his disdain at the level of 3D technology available, stating that he wasn’t a big fan of 3D but that more recent technological advances would make it a more feasible film production avenue. It seems he’s stuck to his word even if it has taken a while. 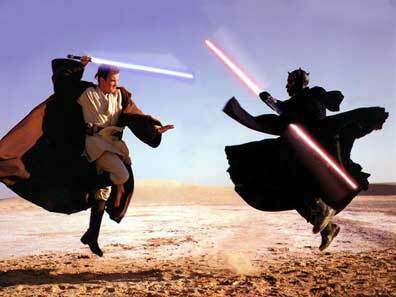 The remastering of the films will start with the very first in the series, which is the Phantom Menace. While it isn’t everybody’s favourite, and it in fact received a bit of a battering from some quarters, it does have a number of scenes that will lend themselves perfectly to big screen 3D work. The Phantom Menace will be releasd in 2012 and will be shown at cinemas. If this proves to be successful then Lucas and the team will move on to convert the remaining films in the series but they won’t be rushed, believing that films like Star Wars deserve all the attention they can muster. Remastering films into 3D generally does not generate the same level of results as filming in 3D and this is partially because of the technology involved in remastering but also because scenes are not designed for the 3D experience. However, we’re fairly positive that there will be long queues of people around the corner at every cinema in the country that shows 3D Star Wars films.